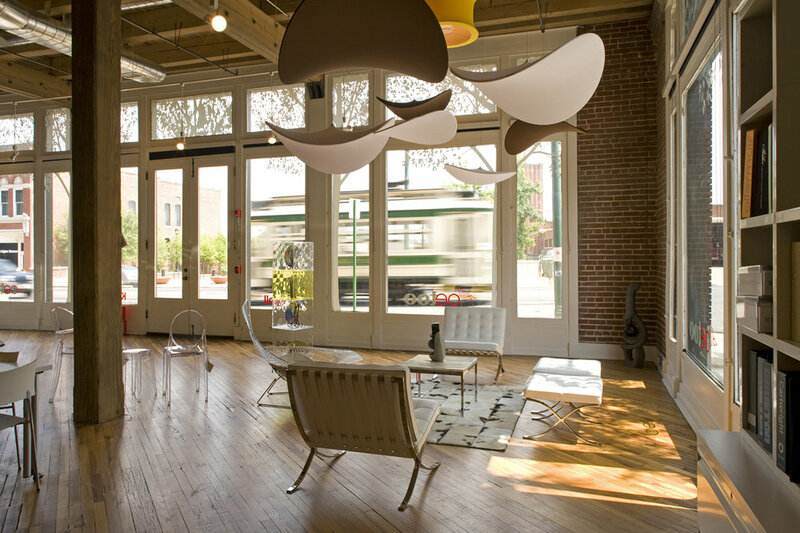 The goal for the project was to rescue the historic structure from decline, renovate and update it for modern functions, and preserve its character for reuse as upscale business lofts. The growing demand for office space within the surrounding historic neighborhood and local civic incentives encouraged the project development. The existing structure is a three story warehouse built in 1910 for the dry goods and grocery distribution industry. 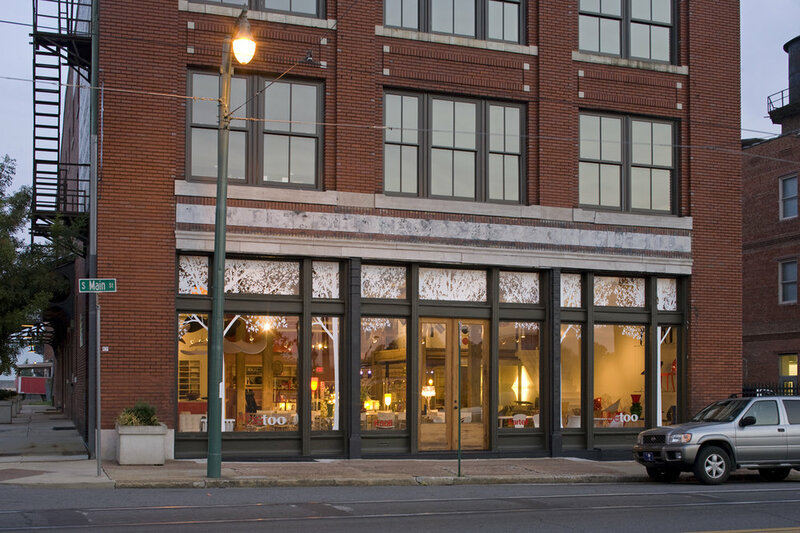 The building was designed by the noted Memphis architectural firm of Jones and Furbinger. It is constructed of eighteen inch thick solid masonry bearing walls and heavy timber structure acquired from a virgin pine forest in Louisiana. The project objectives were to restore the building to its original stature with the addition of required modern use elements including a passenger elevator; energy efficient replacement windows conforming to historic guidelines; modern lighting; ADA accessible facilities; upgraded utilities, communications and data system infrastructure. Unlike other uses, the planning allowed by the ‘business occupancy’ category provided for larger open spaces, expression of the beautiful heavy timber frame, structural iron details, and other significant features without concealing the original historic charm and character of the building. Partial removal of a mezzanine rendered timbers which were recycled for materials to create select surfaces, doors, and trim. Suspended lighting fixtures provide ambient light while highlighting the large pine beams and wide beaded wooden floor decks.